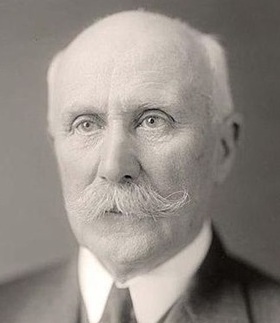 Following the military defeat of France by Nazi Ger­many in June 1940, World War I hero Marshal Philippe Pétain pro­claimed a new French govern­ment on July 10, 1940. Pétain held the title of “Presi­dent of the Coun­cil” instead of Pre­si­dent of France. His govern­ment, which accorded him extra­ordi­nary powers, was offi­cially called the French State, L’État Français. Unoffi­cially, it was called Vichy France after the resort where Pétain and the National Assem­bly met. The French capi­tal remained in Ger­man-occupied north­ern France. Vichy admin­is­tered the so-called Free Zone in the south but had legal autho­rity in both zones. When the Allies landed in Vichy North Africa in Novem­ber 1942 (Oper­a­tion Torch), Ger­man and Ital­ian troops moved in to occupy the rump French state. On August 24, 1944, after four years of Vichy col­lab­o­ration and Ger­man occu­pa­tion, a Free French armored divi­sion under the com­mand of Gen. Jacques Philippe Leclerc lib­er­ated the French capi­tal. The next day Free French head Gen. Charles de Gaulle, who had set up a pro­vi­sional govern­ment (gouverne­ment pro­visoire de la Repub­lique fran­caise) on French soil during the Nor­mandy cam­paign, entered Paris and with­in a week had in­stalled his govern­ment in the lib­er­ated capi­tal. Pushing his myth of France as a nation of united resis­ters be­trayed by a hand­ful of traitors (the truth was, most French, espe­cially those in mili­tary and govern­ment ser­vice, supported the Pétain regime), de Gaulle pressed a pro­gram of national recon­cili­a­tion on his country­men. That said, over 300,000 sus­pected French col­lab­o­rators—in­cluding some of the more than 40,000 men who joined the French para­mili­tary Milice, scourge of the Resis­tance—were turned over to various courts of justice. Of those, 764 were exe­cuted. On this date in 1945 Vichy head Pétain was placed on trial and three weeks later was sen­tenced to death. De Gaulle com­muted the 89‑year‑old’s sen­tence to life im­pri­son­ment. Pierre Laval, Prime Minis­ter of Vichy France, and Milice chief Joseph Dar­nand were exe­cuted. Many collab­o­ra­tors—for in­stance police who had orga­nized raids to cap­ture Jews and others con­sidered “unde­sir­ables” by the Ger­mans in both French zones—soon resumed offi­cial duties. In 1955 am­nesty fever broke out and ten years later all jailed French collaborators were free persons. 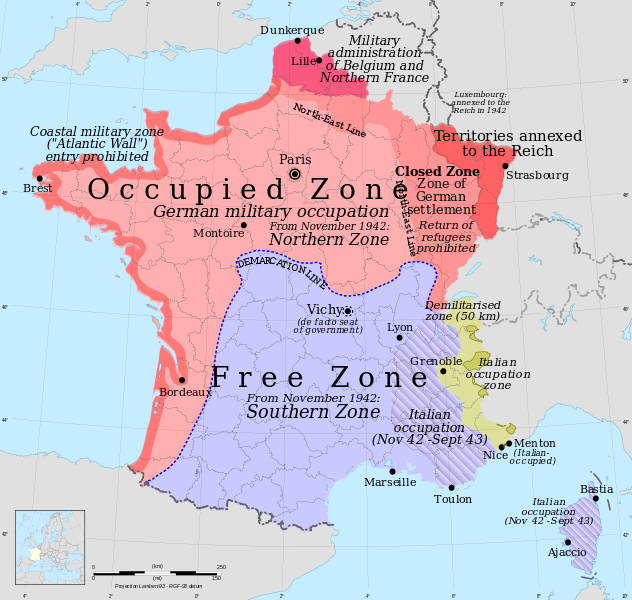 Above: Pre-liberation occupation zones of France, 1940–1944. Left: Philippe Pétain (1856–1951) was a French gene­ral who reached the dis­tinc­tion of Marshal of France, later autho­ri­tarian Chief of State of Vichy France from 1940 to 1944. Over the years Pétain and his Vichy regime col­labo­rated ever more closely with their Ger­man occupiers. His war­time actions resulted in his post­war con­vic­tion for trea­son (by a one-vote majority) and death sen­tence. Gen. Charles de Gaulle, who was Presi­dent of the Pro­visional Govern­ment of the French Repub­lic, com­muted the sen­tence to life im­pri­son­ment due to Pétain’s advance age and his mili­tary con­tri­bu­tions in World War I. Pétain was exiled to an is­land pri­son off the French Atlantic coast, where he died at the age of 95. 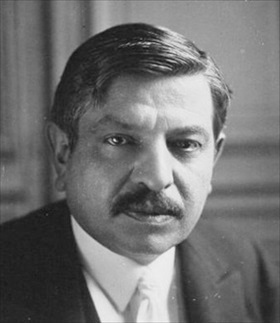 Right: Pierre Laval (1883–1945) was four-time Prime Minis­ter of France, twice ser­ving the Vichy regime as head of govern­ment. An admirer of totali­tarian govern­ment, Laval em­braced the cause of fas­cism, the de­struc­tion of demo­cracy, and the dis­mantling of the demo­cra­tic Third Repub­lic. 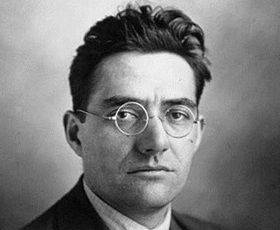 He signed orders sanc­tioning the depor­ta­tion of foreign Jews from French soil to the Nazi death camps. On Septem­ber 7, 1944, what was left of the Vichy govern­ment moved to Sigmaringen in south­western Ger­many. After falling into U.S. hands, Laval was turned over to the French govern­ment in late July 1945. Tried for trea­son and vio­lating state secu­rity, he was con­victed and sen­tenced to death. After a failed attempt at sui­cide (the cya­nide had lost its full potency), Laval was exe­cuted, half-uncon­scious and vomiting, by firing squad on October 15, 1945. Left: A far-right veteran from the First World War, Joseph Dar­nand (1897–1945) founded a mili­tia in 1941 that sup­ported Philippe Pétain and Vichy France. In Janu­ary 1943 he trans­formed the organ­iza­tion into the noto­rious Milice Fran­çaise (Milice). In Octo­ber 1943 Dar­nand took an oath of loyal­ty to Adolf Hitler and re­ceived a rank of Sturm­bann­führer in the Waffen-SS. In Decem­ber 1943 he became head of police and later secre­tary of the in­terior. Dar­nand expanded the Milice and by 1944 it had over 35,000 mem­bers. After the Nor­mandy in­va­sion and Allied adv­ance, Dar­nand joined Pétain’s govern­ment in south­western Ger­many in Septem­ber 1944. The next April he fled to North­ern Italy, where he arrested and hauled back to France. Tried and sen­tenced to death, he was exe­cuted by firing squad on October 10, 1945. 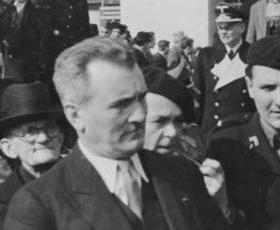 Right: Jacques Doriot (1898–1945) founded the ultra-nation­alist, pro-fascist Parti Popu­laire Fran­çais (PPF) in 1936. Doriot became a staunch sup­porter of the Nazi occu­pa­tion of north­ern France in 1940. He moved to Paris, where he espoused pro-Ger­man and anti-Com­mu­nist pro­pa­ganda on Radio Paris. In 1941 he co-founded the Légion des Volon­taires Fran­çais (LVF), a French unit of the Ger­man Wehr­macht. The LVF saw active duty on the East­ern Front. When the unit was all but de­stroyed, Doriot fought in the Wehr­macht and was awarded the Iron Cross in 1943. After France’s libe­ra­tion the PPF was in­volved in con­ducting intel­li­gence and sabo­tage acti­vi­ties by supplying men whom the Ger­mans dropped by para­chute into libe­rated France. Doriot was killed in late February 1945 when his car was strafed by Allied fighters.